Happy Easter, everyone! 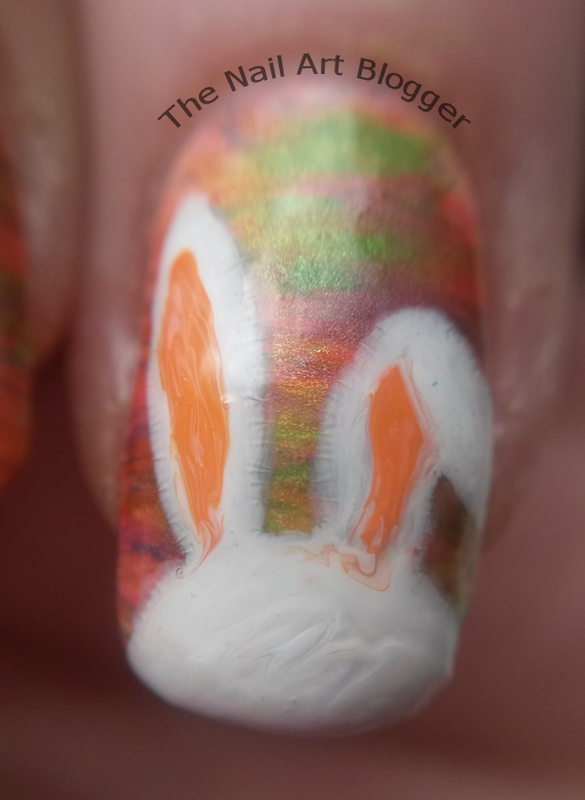 I entered a giveaway contest on Facebook, and the theme was "Easter Nails". I didn't win (come on, I only win at life :D) but I do want to share my nail art here. I started with a white polish from W7, and using a fan-brush I added several colors (pink, orange, yellow, green, blue, purple; all from a store called Action, polish has no brand name) over all my nails. And topped it off with a matte top coat from Kiko. I was very tempted to keep my nails like this. It actually turned out pretty cool. But this mani was for a contest, so I had to finish off what I started all the way through. I used a white striping polish from Essence to do the pinky and index nails. 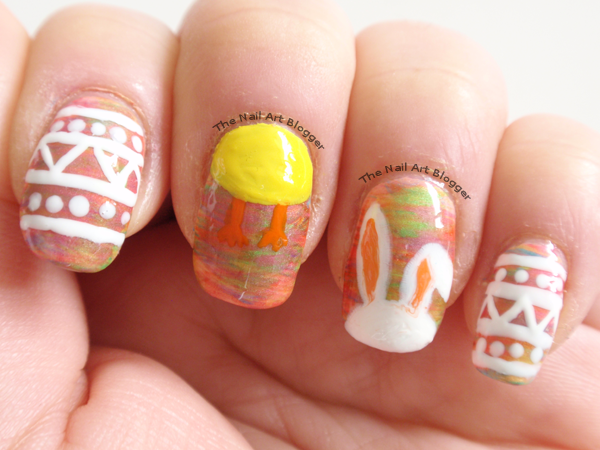 And I used acrylic paint and a detail-brush for drawing the bunny and chick on the middle and ring finger. After I was done, I sealed it off with the nail sealer from Essence. 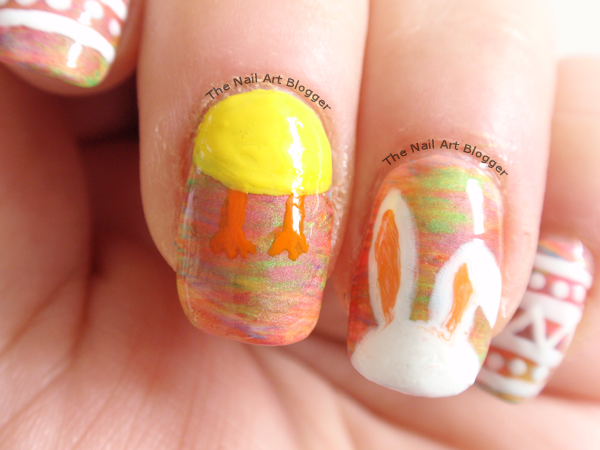 I was inspired by Chalkboardnails' Easter mix up mani from two years ago to do the bunny and chick. I really liked the idea, as it is quite original. And I'm exceptionally proud of my bunny. I even made a close-up of it! 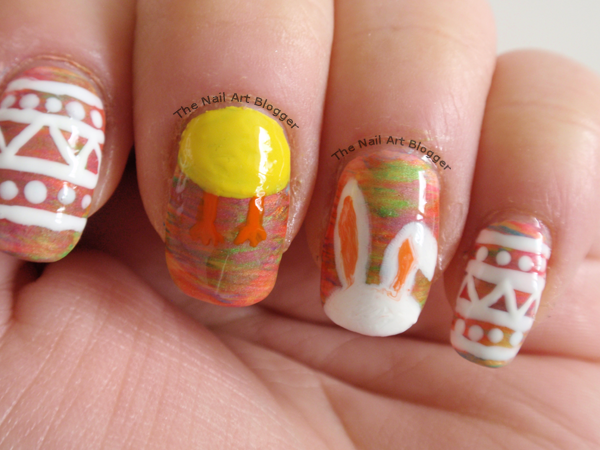 Did you have nail art on for Easter? Thank you for looking. Until next time!